Issue 1 - if the Source is 0.5cm from the cube and the grid size is let's say 5cm, then as far as the sim is concerned, the Source will be in the same space as the cube. Try setting the distance from the cube to the same (or even slightly more) than the grid size and see if that works (I'm just running my own sim at the moment so can't try it). If you have read the manual, you will know that solids need to be enclosed and while characters are mostly enclosed, they will still have openings such as the mouth and eye holes which may be confusing the simulation. If you have an open shape, even if slightly open, the sim may have difficulty working out what is "inside" and "outside" of the shape, even if it is readily apparent to any viewer. If this is what is causing the problem, there is a solution - make an enclosed bodysuit and either make it conforming to your figure or share the skeleton so that it moves with your figure and use that as the collison object. Just be careful of the "nested parent" issue, the sim only looks at a couple of levels of parenting. Your third issue may require some playing around with the relative sizes of the Source, the Grid size and the flow rate to get the effect that you want. Sometimes a larger grid size will give you a morer cohesive flow. Hmm, I am getting the dll error. I have an NVIDIA card. I installed the dll file to the extensions folder. I installed the other fluidos files to the extension folder. Still got the dll eror. I'll have to go back through the thread to see what was up because I know I am not the first. Windows 10. Hey 007 and kboom, are you both using laptops with nvidia graphics cards? Can you check if you are using only the external graphics, or do you mix integrated Intel graphics for power saving with discrete NVIDIA graphics? For example like a BIOS option that says "Discrete only"? Or download GPU Caps viewer and check both GPU and OpenCL pages. If you have more than 1 devices, I guess you need to disable the Intel graphics via BIOS. You should also be able to run the OpenCL demos on both GPU and CPU, to check that the OpenCL driver is correctly installed. I am on a laptop so it might be this. Will troubleshoot fom here. It works on my laptop - I know all laptops are not the same, but still I thought I'd mention it. I have an Nvidia card on mine. I am running an Nvidea GeForce GTX 780. I went to the Nvidea website and downloaded the latest driver dated 2017:12:20. Ver.388.71. I can now run Fluidos on my desktop. The previous driver was only a couple months old. I hope this works for you as well. Please, download this file Fluidos.mcx, replace the file you have in extensions folder with this. You'll get two error messages with more details. Let me know what they say. NVIDIA added several OpenCL 2.0 functions in the 378.66 driver released 2017-Feb. While still only officially supporting OpenCL 1.2 and only partial 2.0 support, I guess that the latest driver may also help. If you laptop manufacturer does not offer newer drivers, you can still download them from nvidia.com, but do a proper backup of the HDD/SSD first. To check if OpenCL works on your system, run the LuxMark 3.1 benchmark. I haven't had any time to play with this yet, but I'm simply blown away by what this plugin can do, it's the coolest thing since... uh... sliced water(?) Alright my analogies need some work, but it's pretty dang cool. Huge thank you to Alberto for this. Dude you already completely changed my rendering quality with your LightX plugin, now you're giving us Fluidos too? You are awesome :) Also a huge thank you for PhilW's tutorial vids on this, I've watched both and I have to say you make it look like a very intuitive plugin to use. Also I have to say that the quick example/test vids everyone has been making are simply entrancing, I find myself watching them over and over. But as Tango proves in his excellent waterfall render, this plugin will be invaluable not just for animations but for static renders too. Yes it can be quite addictive just making various water animations! Imago - I just had a thought after playing with a figure earlier that if you are parenting Genesis (1) as it is loaded to the fluid domain, you may well be falling foul of the number of parenting levels that Fluidos allows (max 3). When you load Genesis (or Genesis 2) figures into Carrara, you get three levels in the hierarchy - with Genesis these are labelled Genesis/Genesis/Actor. The Actor level holds the actual geometry and the next level up adds the bones and other features to make a character. However the top level is just a group (with only the figure in it), it serves no other purpose. So rather than moving the top level to be parented by the Fluid Domain, move the next level (the second Genesis) to be parented by the Fluid Domain, and you can then delete the now empty top level group (confusing also called Genesis). This will give a hierarchy that goes Fluid Domain/Genesis/Actor - and as this has 3 levels then it will be read by the simulation. 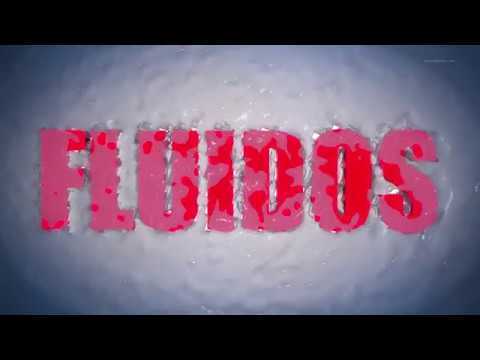 This quick experiment consists of 2 basic simulations using the FLUIDOS plugin for Carrara and 3D text. 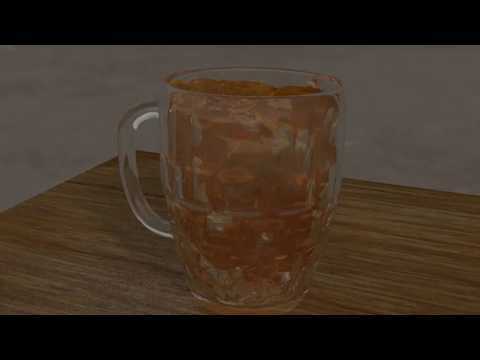 The first simulation uses text as a liquid. The second simulation uses text dropped into a square water surface using Carrara's physics engine. Finally, I slowed everything down to half speed in After Effects. Great work Joe - very creative and well rendered too! Yes, yesterday I managed to have Genesis1 to be calculated in the simulation, it gest hit by particles, stops them and all the related stuff. I moved it from its root to the domain. Still, I can't parent the emitter to anything and the fluid is way too big to make a nice, small, narrow stream and it still subdivide in smaller cubes at higher velocities. I'll keep experimenting, but if anyone gets a solution please share it with us all! I have just run a test of parenting a Source to an object and I also don't see any flow, whereas the unparented Source worked as expected. I have flagged this to Alberto to take a look. 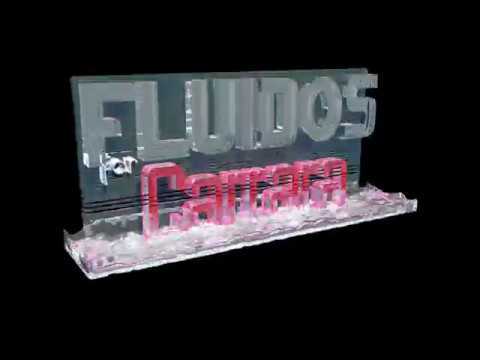 This quick experiment consists of 3 basic simulations using the FLUIDOS plugin for Carrara. The idea started out as playing with liquids without any gravity. 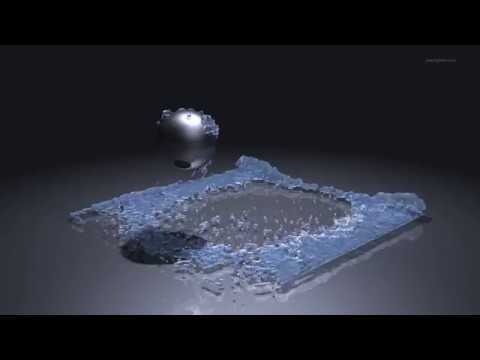 The first simulation is an experiment in smashing two water balls into each other in a zero gravity environment. The second simulation came about when I forgot to add a velocity to one of the balls and I kind of liked the unexpected results. Then the third simulation is an experiment to see what would happen if I added the gravity back into the second simulation. Finally, I slowed everything down to half speed in After Effects. @Joepingleton ​ terrif work, keep em coming!! general question - what's the most likely cause of seeing nothing? I ran the sim successfully in the past but now when I try it I don't get any results? ie when make the original sphere invisable the fluid object is no where to be seen. If I remember correctly, there was a warning about not using the overall scaling but to use individual scalings, having looked at your scene I think that is possibly the issue. I took the overall scaling to 100% and used the individual x, y and z scalings to get back to the same size and it now seems to work. (I did a few other things before discovering this so it is possible that it was a combination, but I think this was the key factor - at first I thought it might be related to moving the Hot Point but this doesn't seem to affect the simulation). Ah, good! Please tell him to try to make it work with "deeper" parenting, so we can parent the emitter to something parented to the hand of a char. I did actually make this suggestion to him already! I'll let you know when I hear back from him (unless he posts himslef on here!). Great work - the first one I had to watch several times to get my head around it, with so much going on it looks awesome! Joe and Andy, I love the examples! Keep 'em coming!!! Joepingleton - Annoying? Never - This is really clever stuff, an inspiration even.